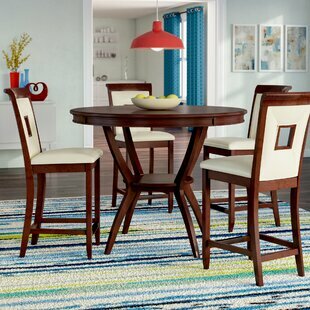 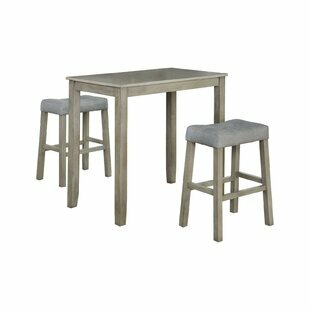 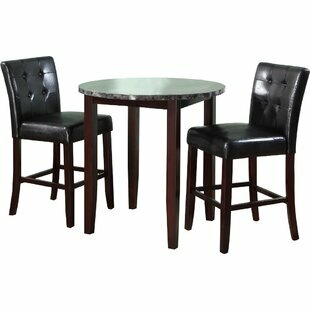 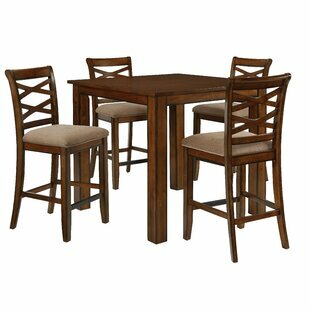 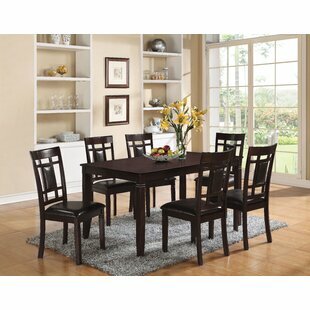 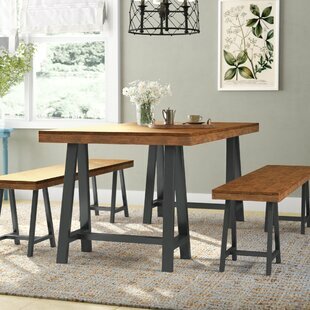 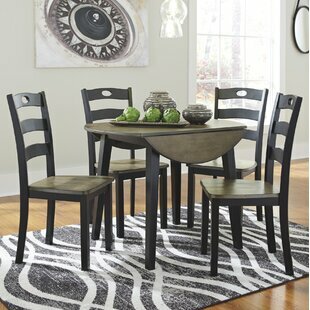 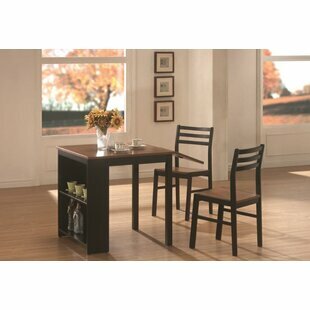 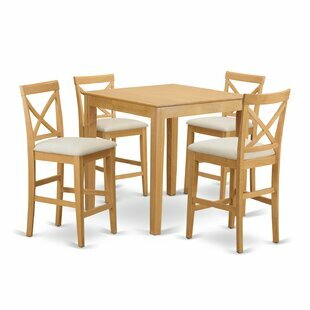 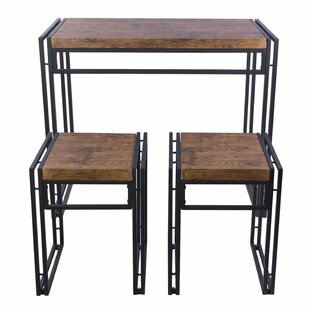 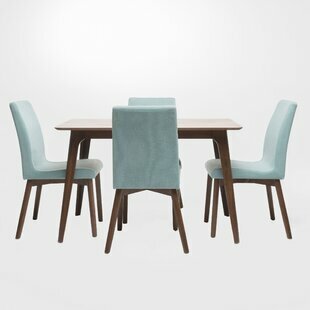 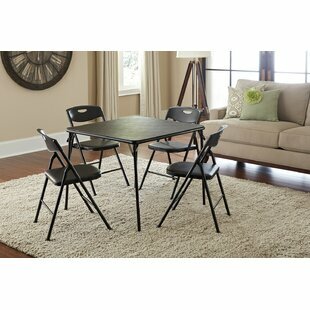 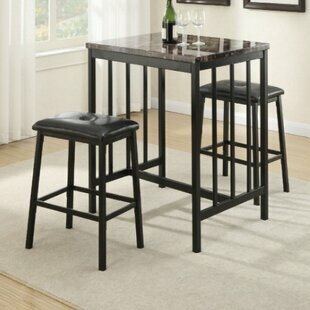 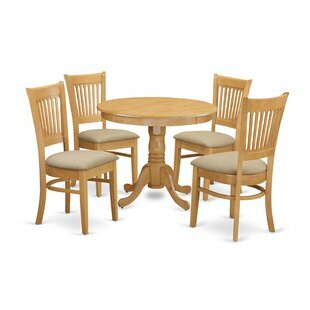 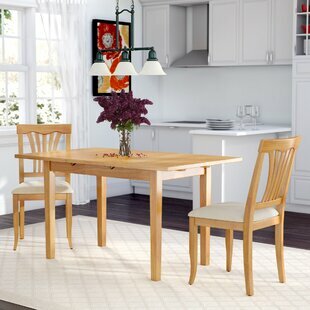 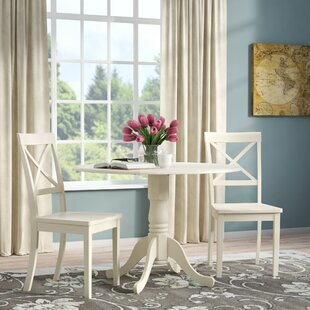 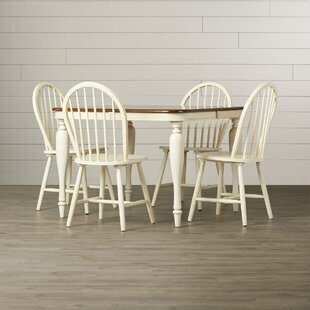 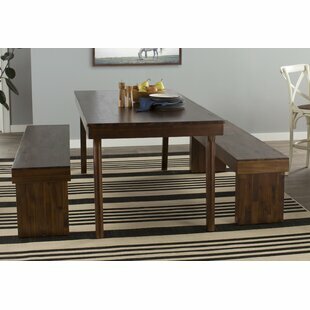 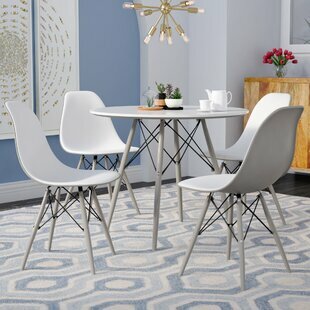 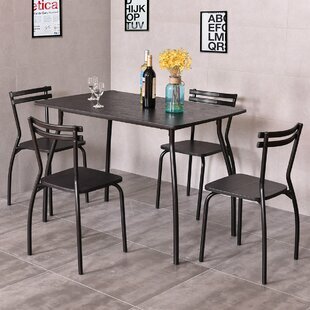 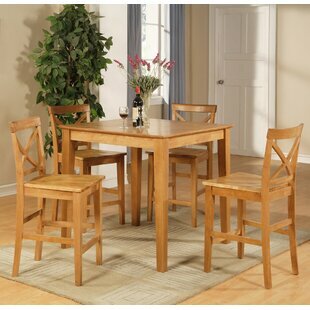 Kick back for a casual meal or entertain more elegant affairs at this stylish three-piece counter height dining set. 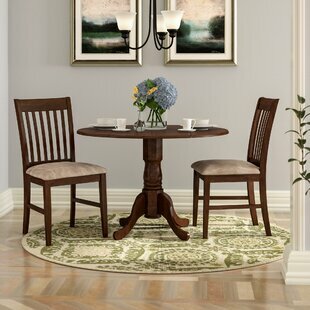 Brimming with beautiful contrast, the table is founded atop a solid wood base finished in dark brown while a circular marble-inspired top adds timeless appeal. 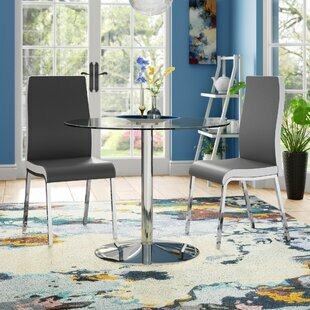 Youll be sitting pretty atop the two seats, which feature matching wood bases and full-back designs wrapped in black faux leather upholstery with button-tufted accents. 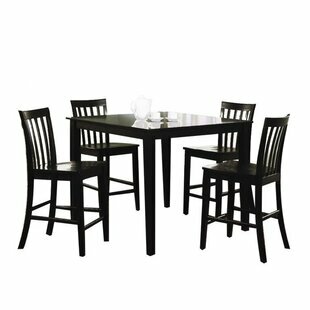 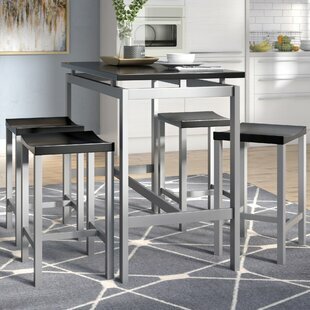 Keep it in the corner of your kitchen for a chic... Table Top Color: Black Table Base Color: Espresso Seating Color: Espresso Seating Capacity: 2 Weight Capacity: 200lb. 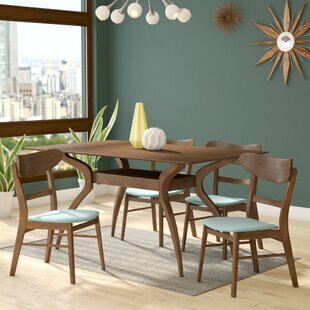 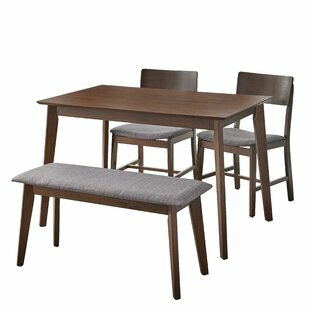 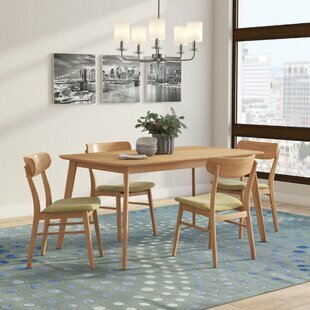 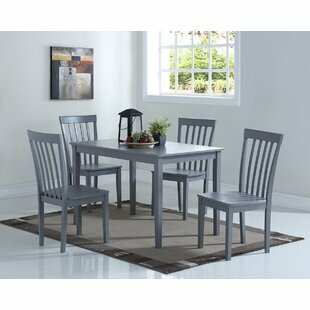 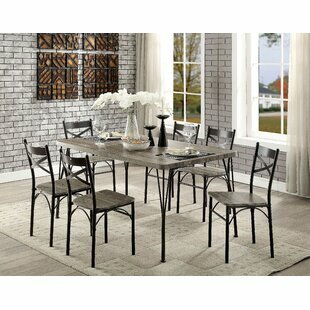 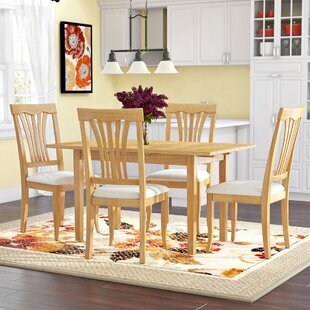 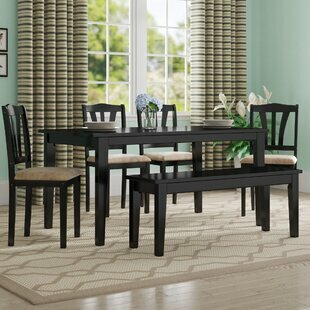 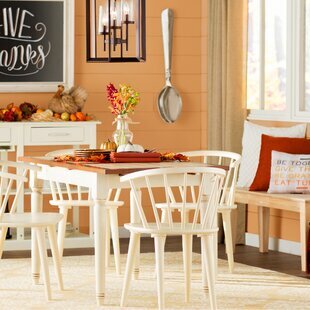 Enjoy casual weekday breakfasts and long family meals in style with this lovely five-piece dining set. 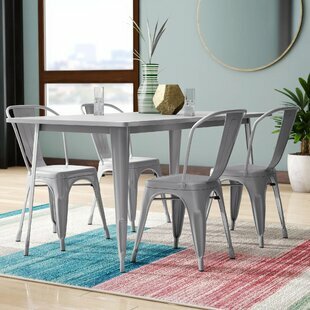 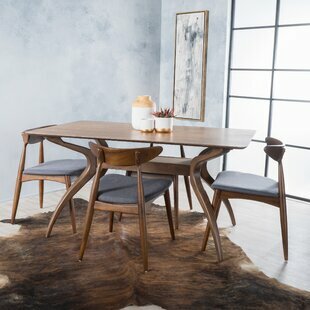 Blending a minimalist motif with modern design, this table and four chairs showcase slim flared legs and a glossy finish. 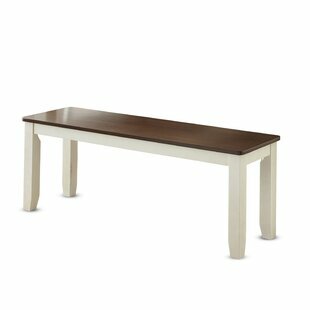 They are crafted from MDF, rubberwood, and veneer, for a budget-friendly design. 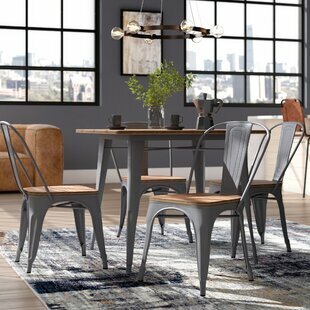 The chairs feature rounded, ladder backs, and the sets are available in a variety of colors so you can find the right hue for your home. 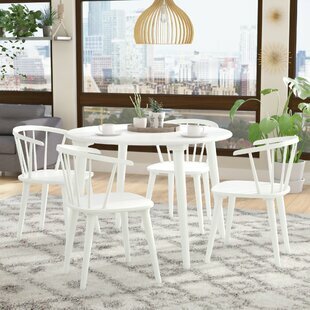 Top Material Details: MDF and veneer Table Top Color: White Table Base Color: White Seating Capacity: 4 Weight Capacity: 250lb. 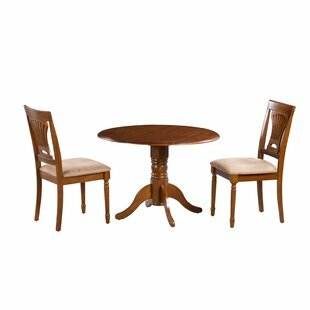 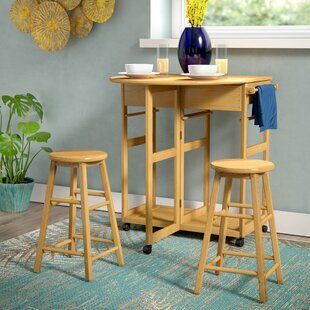 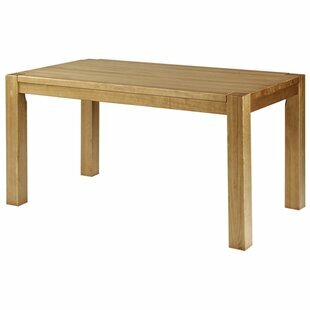 Table Top Material: Solid Wood Top Material Details: Asian hardwood, Sapgum; MDF Table Mechanism: Fixed Table Seating Capacity: 4 Weight Capacity: 300lb.